Greg Cohen Promotions proudly announces the signing of once-beaten super middleweight Derrick “Take It to The Bank” Webster. 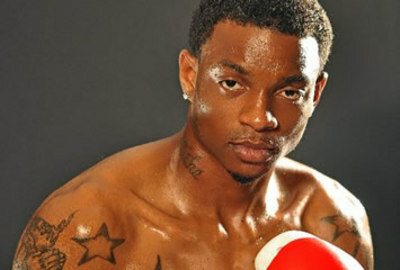 Glassboro, New Jersey’s Webster (28-1, 14 KOs) stands an enormous 6’ 4”, with fast and powerful hands. The naturally athletic southpaw only had 40 amateur fights and didn’t even start boxing until age 24 but picked up the sport very quickly. Unlike most world-class fighters, Webster is a successful home-remodeling and construction business owner. He also played power forward for two seasons for the University of Maryland basketball while earning a bachelor’s degree in Juvenile Criminal Justice. Webster says trusting the wrong people made for a tough road earlier in his career, but he’s ready for a run at a world championship now that he has father figure/trainer Denny Brown and the experienced promoter Cohen on his side. Webster is unique in that he’s not financially dependent on boxing. All of his sacrifice and work is done because he wants to. Cohen says he’ll act quickly with Webster to get him into position for a world championship challenge.